IC 7109 is a 12-bit dual slope A/D converter. It has polarity and overrange bits. It has byte organized TTL compatible three-state outputs and UART handshake mode for simple parallel or serial interfacing to microprocessor systems. It has RUN/HOLD input and STATUS output, which can be used to monitor and control conversion timing. It has true differential input and differential reference. It has low noise-typically 15 μV p-p. It operates at upto 30 conversions per second. All inputs are fully protected against static discharge. Fig. 14.127 shows typical circuit and pin configuration for 7109. 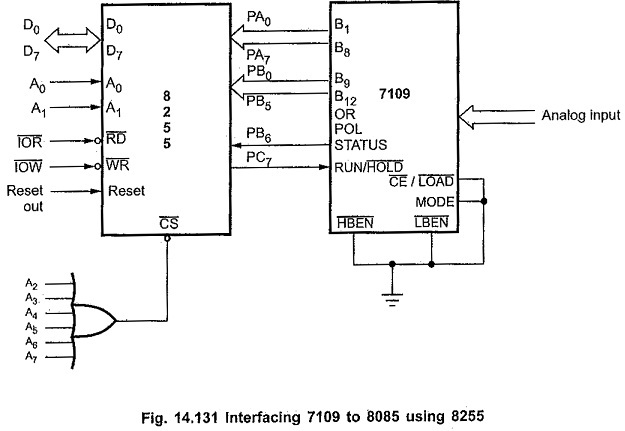 The ADC 7109 can be interfaced directly or indirectly (with the help of 8255) to 8085. Direct Mode : Fig. 14.130 shows direct interfacing of IC7109 to 8085. Here, CE/LOAD signal serves as a chip select signal which is controlled by microprocessor IOR signal. 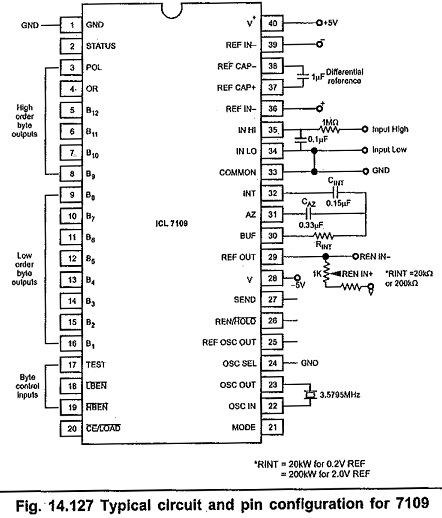 The low order byte output and higher order byte output is enabled by LBEN and HBEN signals, respectively. These signals are driven by A15 and A14 signals, respectively. 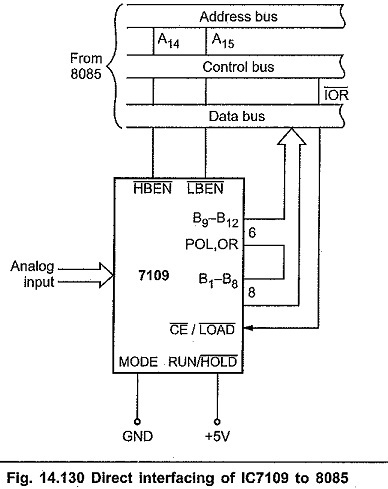 Microprocessor can read data (high order byte or low byte) by executing I/O read cycle. Indirect Mode : Fig. 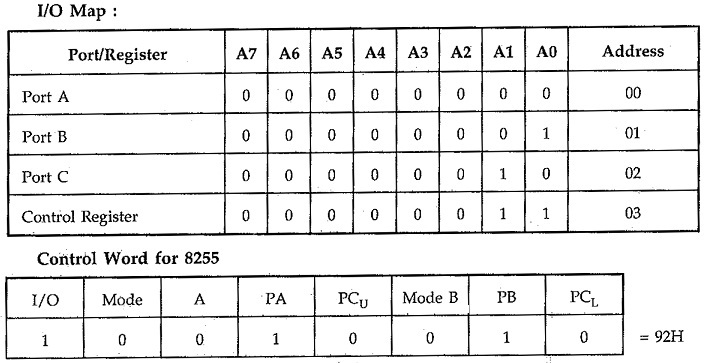 14.131 shows indirect interfacing of 1C7109 to 8085.